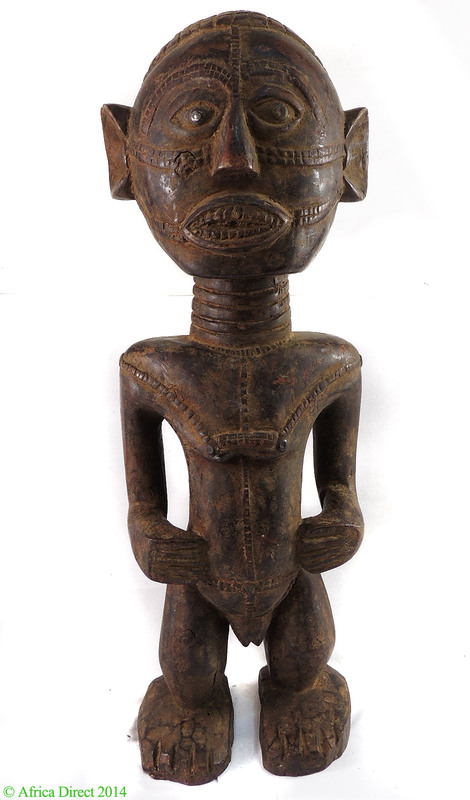 Dimensions 18.25 inches H. x 6.25 inches W.
Additional Information: A Tabwa figure of a female beautifully carved with a subtle expression and composed stance with large head, square shoulders, and short straight legs. 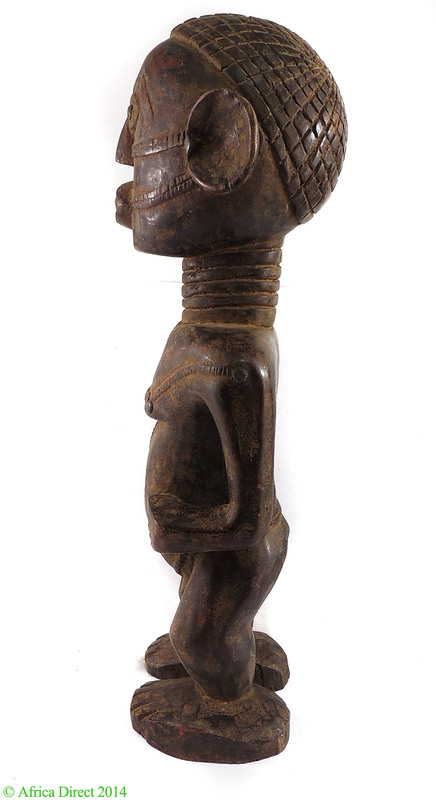 Tabwa figural sculptures represent ancestors who were to assist in daily activities and during the hunt. 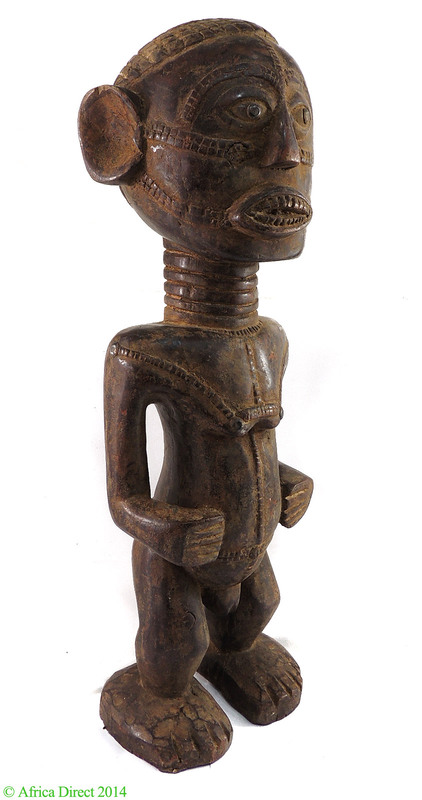 Tabwa art is both a symbol and an esthetic statement as the figures are often elaborately scarified in a fashion known among them until the middle of the twentieth century. The distinctive facial scarification consisting of a number of lines along the sides of the face and along the forehead and abdomen were the means whereby Tabwa identified themselves to localities and social status. They are also a high form of body art or ornamentation. Elaborate and attractive patterns and designs were worked into the skin according to the Tabwa concept of kulemba that reflect aesthetics, social membership and the abstract idea of order upon the chaos of nature. It demonstrates that a person becomes a complete adult when they are properly inscribed with the appropriate scars. These patterns and designs are collectively known as vindala and will represent one s advancement through life and within Tabwa society. Distinctive hairstyles among Tabwa men reflect status or membership in a hunter's cult known as buyange , that required great efforts to braid, tie and decorate. The present figure wears what appears to be a knitted cap on her head. The Tabwa number more than 200,000. 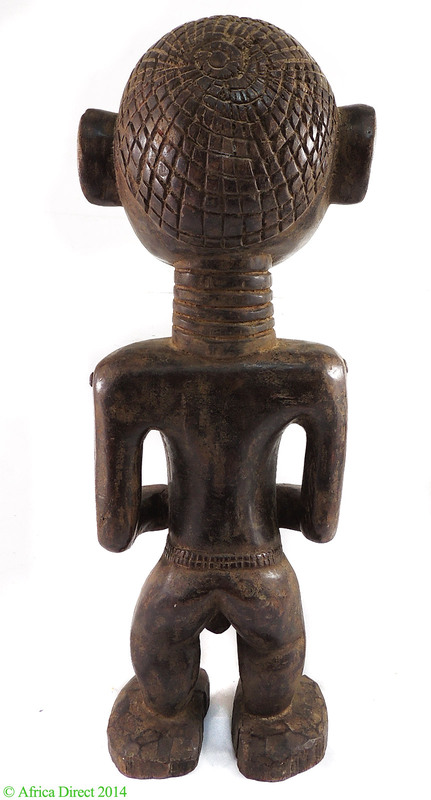 Tabwa art has only recently come to be identified as a separate style often confused with the sculpture of their neighbors or others who took Tabwa identity. Chiefs were not powerful and local lineage heads exercised much authority. It was the lineage heads who kept small figures representing honored ancestors known as Mipasi on small shrines that they controlled.